I arrived in Canberra in 1988 and began working as an assistant dentist for Dr. Ted Weissel at Lyneham in 1991. Over the pursuing 18 months I familiarized myself with the practice, and built up a core clientele of just over 300 before purchasing half the practice from Dr. Weissel. Experience from working in other public and private practices enabled me to formulate a long-term vision for the practice; fortunately that vision materialized, albeit very gradually, over the following 20 years. During that long period of time, the practice grew not just in clientele, but also in the scope of services that it provided, and in the technology front, which has always been the backbone of modern dentistry. 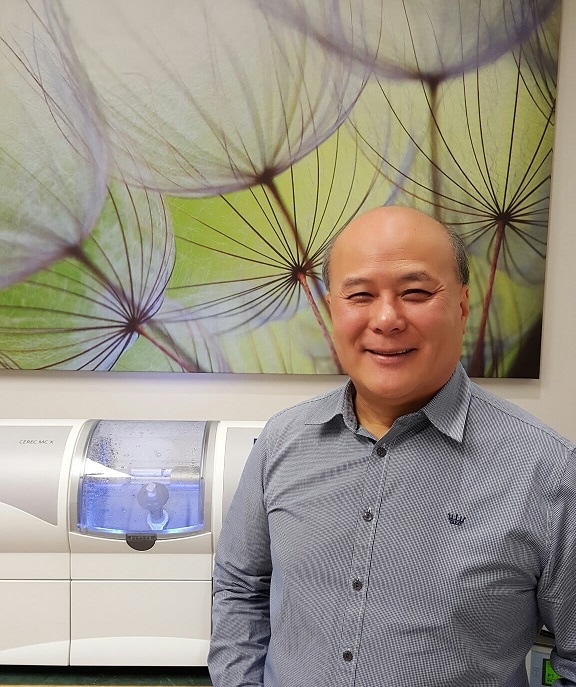 In fact when the practice changed hands in 2011 to Dr. Patrick Huang, Lyneham Dental Care was one of few practices, if not the only one in Canberra, to have both the most up-to-date CEREC (chair side CAD-CAM ceramic restoration) system, and an operating microscope, which allows for precision micro-dentistry. Over 7000 patient records, x-rays, dental photographs etc. had by that time been completely digitized. All of these improvements were made with the benefits of the patient at heart, and achieved entirely on the expense of the business itself, without any financial help from the government (unlike medical practices). Surely there was a lot of sweat and tears along the way of changing and upgrading the business, but I was fortunate enough to be working with a team that could only be described as highly motivated and highly skilled. Each and every staff member strived to do their best to care for the patients, the business, and most importantly, for each other, with maturity, honesty, and mutual respect. Throw in a sense of humour, and it makes for a Big Happy Family. I can never thank the team members enough for their contribution to the practice. So what was my vision for Lyneham Dental Care in 1991? It was to develop the business into one that could offer our patients an excellent standard of dentistry, in a most pleasant and relaxed environment, and being staffed by workers who genuinely care for our patients. I hope our long-term patients will agree that the business has developed on a path very close to what I envisioned, and I would have no doubt that Dr. Patrick Huang and his team will enrich the growth and development of the business in order to take it to another level. Please check here for updates from Lyneham Dental Care. Alternatively, you can check our facebook and twitter pages. Our team at Lyneham Dental Care offers exceptional dental services based on safety and quality for your peace of mind. We use the latest technology to help you achieve your needs for a healthy smile. We provide friendly general dentistry and cosmetic procedures. Veterans Affairs and new patients are welcomed.